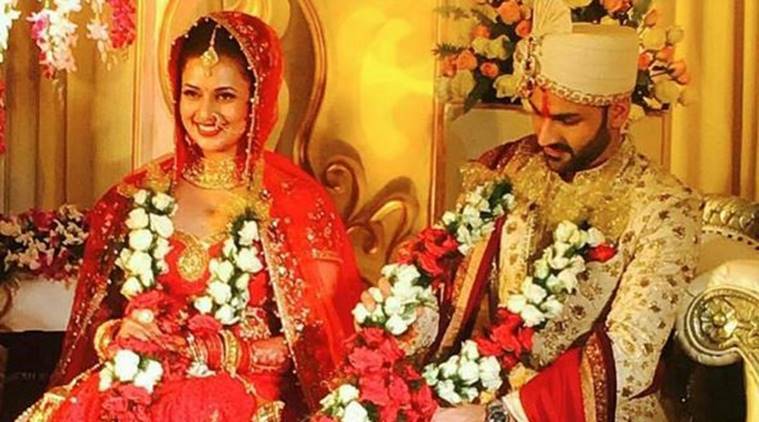 Divyanka ties the knot with Vivek, See Wedding Photos Video Images Pics : Yeh Hai Mohabbatien fame Divyanka Tripathi aka Ishimaa and Kawach Fame Vivek Dahiya finally tied in an auspicious wedding knot last night in Bhopal. 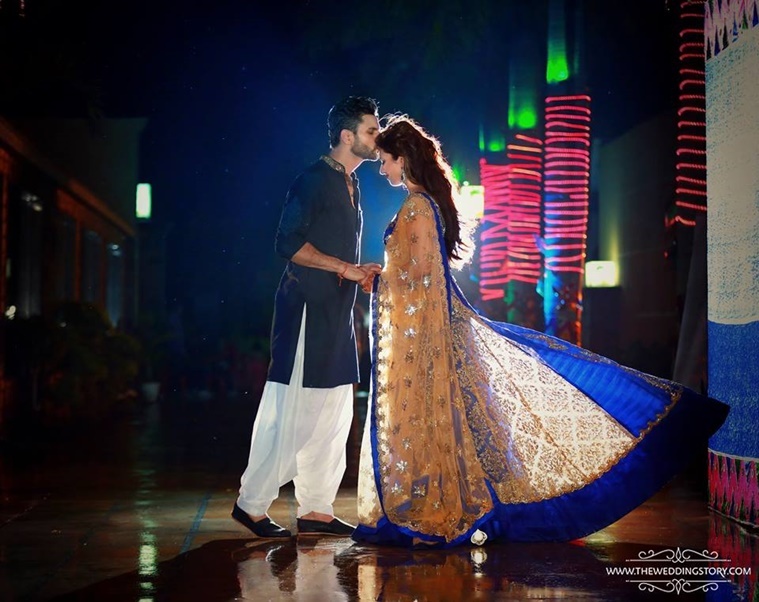 The social media was buzzed from last few day with their pre-wedding functions. 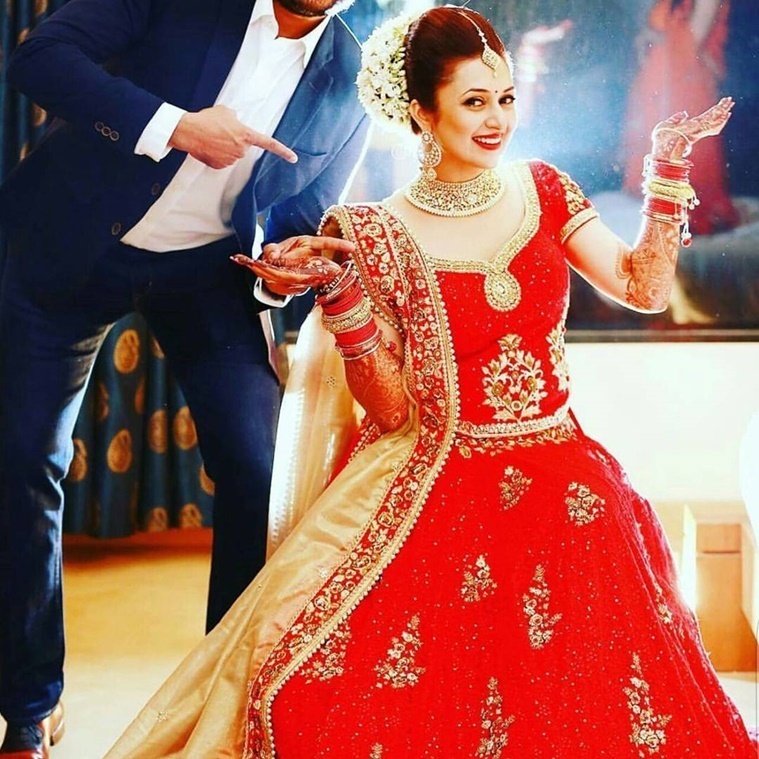 From Hen party to Sangeet Ceremony Divyanka robes lakhs of hearts and also gives wedding goals to some to-be-brides out there. 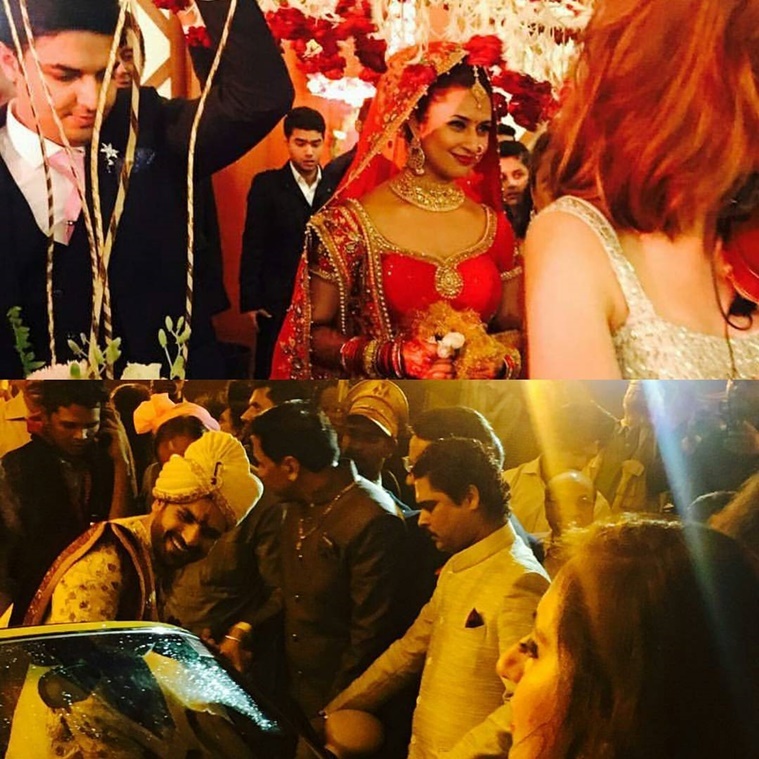 After lots of masti and dhamaal finally the Mr. Divyanka turns Mrs. Vivek Dahiya and the weather also made the wedding day super romantic. Monsoon weddings are the best and the monsoon made our day as we always wanted a monsoon wedding said Kawach actor Vivek. 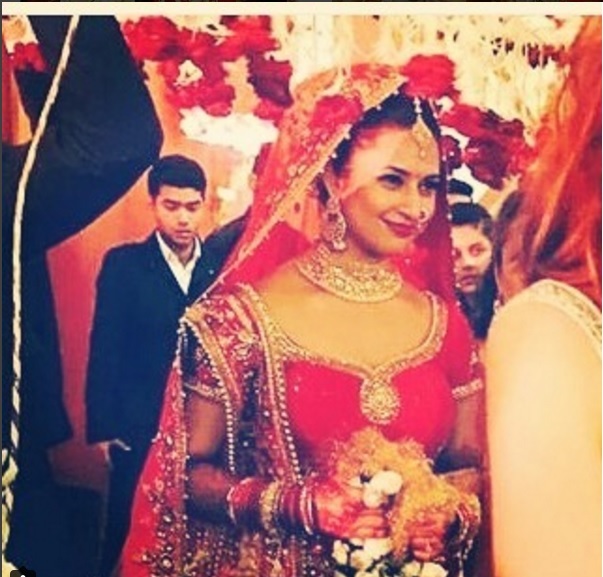 Divyanka was looking gorgeous in the red lehenga with gold embroidery she was looking as gorgeous as an angel. 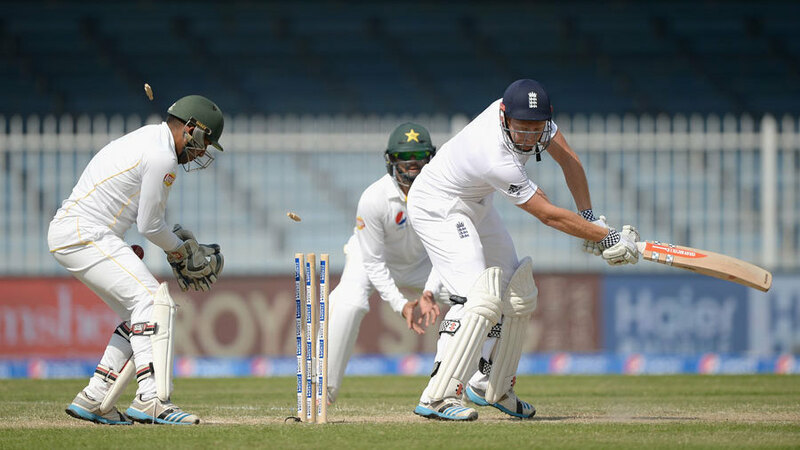 Vivek was donned beige Sherwani that gave him a royal prince charming look. After Varmala ceremony the couple of evening talked to the media flocks where they stated their happiness and excitement for their D-Day. They answered all the queries of Media patiently. Vivek also shared that the party is not over yet and they have no time to relax as they will head to Chandigarh for the reception party which is scheduled for today and thereafter to Mumbai for the wedding party for all the friends.